As a parent, you have a lot on your plate. You have to care for your children each day, take care of the house, prepare meals, etc. Oh, and you also have to find a way to make a living to pay for everything along the way. There’s a lot to do, so it’s understandable if you feel tempted to skip out on some of the tasks, like taking your children to the dentist. However, while you might be able to get away with skipping a few tasks from time to time, dental visits are no something that should be sacrificed. It is important for a child to receive proper dental care from an early age. Your child’s dentist1 will be able to spot potential problems, offer advice on oral health for kids, and more. The relatively small amount of time required to pay a visit to the dentist is going to be more than worth it in the long run. With this article, we’d like to highlight some of the key benefits of taking your child to the dentist regularly. Before we get into the benefits of bringing your child to the dentist at a young age, we’d like to quickly touch on one of the common excuses parents use for skipping these visits. Perhaps the most-commonly used reason for not bringing a child to the dentist is that the baby teeth are going to fall out anyway, so why bother? Unfortunately, this is a flawed way of thinking. First of all, it is going to be many years before your child’s baby teeth are replaced with permanent teeth (if your child is young), and you don’t want to have to deal with oral health problems during those years. Also, you are going to be laying the groundwork for good oral health habits that will hopefully last a lifetime. A leading oral health issue for children is tooth decay. It’s extremely common for children to have at least some degree of tooth decay, yet many of those cases could be avoided with proper dental care and improved habits. Not only will bringing your child to the dentist enable him or her to get the care necessary to stay away from decay, but those visits will also provide an educational opportunity. You’ll learn what good oral health habits look like for children, and how you can help improve your child’s outlook with regard to staying away from decay. There are many skills a child needs to learn in his or her first few years of life. Included in that long list is learning to how to brush their teeth effectively. Proper brushing technique is important to maintain oral health for a lifetime, so laying the groundwork by teaching a child how to brush correctly early on is a great start. And here’s the thing – your child might not be the only one to learn about proper brushing technique when you visit the dental office. It’s possible that your own technique has drifted a little off track over the years, meaning you might benefit from these visits, as well. Ask your dentist to explain and demonstrate proper technique so you can be sure to do things right when back at home. 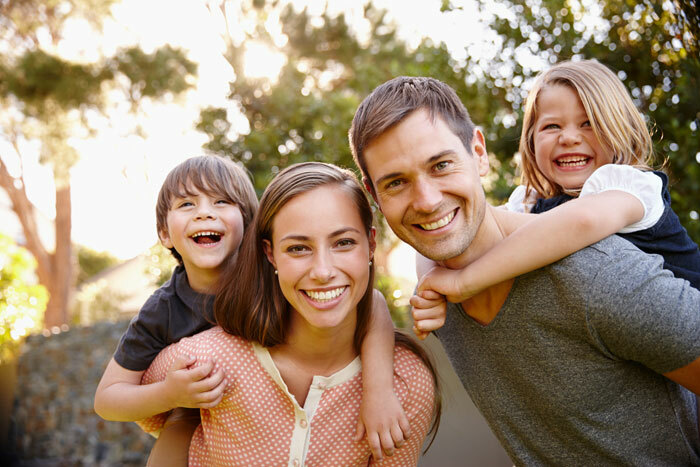 It’s great to be a caring parent who only wants the best for each of your children, and that will be the main motivation for booking dental appointments. However, at the same time, you can certainly appreciate the fact that keeping up on dental care is likely to save you money in the long run. By investing in preventative care early in life, you may be able to avoid more costly dental work later as your child grows. There is no guarantee that your child will enjoy good oral health as a result of early dental care, of course, but you will be giving her or him the best chance for success. It’s a great early life lesson to teach your child that his or her body is worth caring for. It might not seem like it at the time, but your child is going to notice that you are taking the time to make dental appointments and attend those visits. Years later, that effort is likely to have made an impression, and there is a good chance that your child will continue to care for their oral health as an adult. Everything you do as a parent – for better or for worse – is noticed in some way. Make sure your child gets the message loud and clear that dental care is an important part of maintaining overall health for the long term. Let’s be honest – your child probably won’t be too thrilled about attending dental visits at first. Don’t worry, we won’t be offended. We understand that kids are a little nervous for their first visits, but that’s okay. One of the numerous benefits for early childhood dental care is that your child will learn how to cope with the nerves that come along with such appointments. Pretty soon, he or she will be handling things like dental or doctor visits like a champ, and you will be able to sit back as a proud parent while the appointments go off without a hitch. We hope that the points included in this article have given you all the motivation necessary to call Lakeside Dental and make an appointment2 for your child. It’s extremely important to provide children with proper dental care from a young age, and we will be happy to do the job. Our friendly team will make your child feel welcome and comfortable from start to finish. If you have any questions about our children’s dentistry services, or if you’d like to schedule a visit, please contact us right away. Thanks for stopping by!